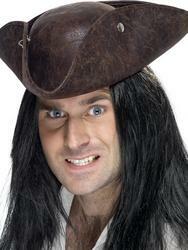 Swab the decks! 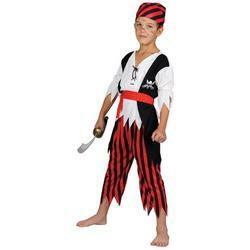 Your child can take command of their own peg leg pirate fleet with this great Boys Captain Pirate Fancy Dress Costume. 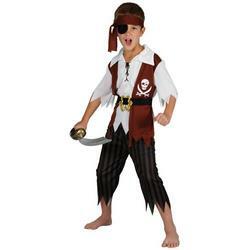 This Kids Pirate Outfit comes with everything you need to look suitably sea worthy including classic Black Pirate Hat, EVA Hook, Red Jacket and Trousers. 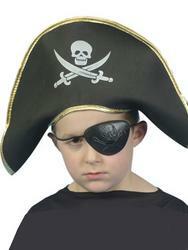 Great for Pirate Themed Birthday Parties, School dress up and other fancy dress events. 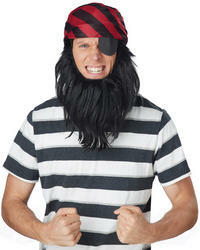 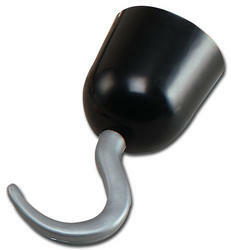 Try combining this with any of our pirate fancy dress accessories including Eye Patches, Swords and more!